There are a few reasons that you might want to reset an Xbox One to factory settings. If the system is acting up, wiping the slate may return it to good working order. This is a last-resort type of fix; a full factory reset will cause you to lose all of your data, and you'll have to download games and apps that you have purchased all over again, although this is a fairly easy process. When you turn your Xbox One off normally, it goes into a low-power mode, so when you turn it back on, that's just a regular reset or soft reset. The console never actually turns all the way off. When your Xbox One powers down all the way and turns back on, that's called a hard reset. It's similar to what happens when you shut down a computer, and no data is lost. When changes that have been made to an Xbox One after it left the factory are reversed, and the console is returned to a state similar to that when it was first shipped, this is called a factory reset. This process restores the factory settings and permanently deletes all of your games, saved data, and other settings. Do You Need to Perform a Factory Reset? Before you totally reset an Xbox One, try less severe fixes first. For instance, if the system isn't responding, press and hold the power button for at least 10 seconds. This will perform a hard reset, which fixes a lot of problems without actually obliterating all of the data on your system. If your Xbox One is malfunctioning so severely that you can't access the settings menu, or it isn't outputting video to your TV, scroll all the way to the bottom of this article for instructions on how to perform a factory reset using a USB flash drive. The other reason to factory-reset an Xbox One is to remove all of your personal information, your gamertag, and downloaded apps and games before trading in or selling an old console. This prevents anyone else from gaining access to your stuff. 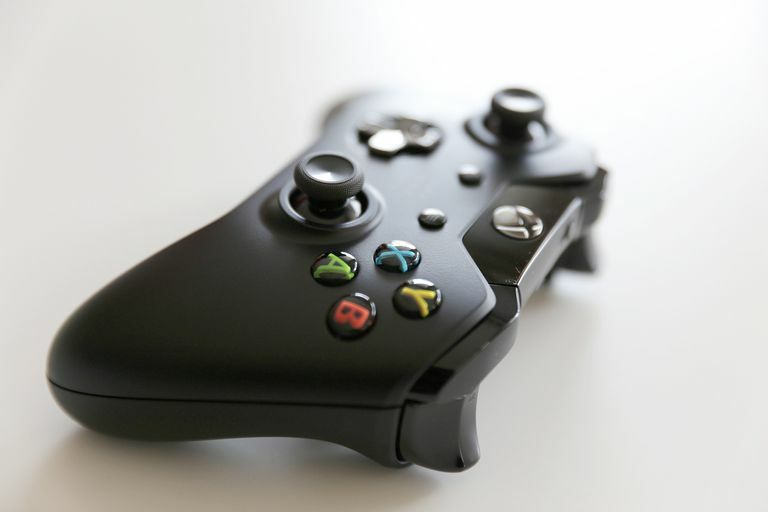 You cannot wipe Xbox One remotely in the event that you've sold it or it has been stolen; however, you can prevent anyone from accessing your stuff by changing the password of the Microsoft account that is tied to your gamertag. Press the home button, or press left on the d-pad until the main home menu opens. Select the gear icon to open the settings menu. Go to System > Console info. Go to Reset console > Reset and remove everything for a full factory reset. The system will be reset immediately upon selecting the reset method. There is no confirmation message, so proceed carefully. The Xbox One will undergo a hard reset, and the process is automated after this point. Leave the system alone, and the Xbox One will reset itself and do a hard reboot. For more in-depth instructions on how to reset an Xbox One, including individual steps and button presses, continue reading. Press the home button on your Xbox One controller. This is the illuminated button with a stylized X that is centrally located on the front of the controller near the top. Alternately, you can press the left bumper until you reach the home tab, and then press left on the d-pad. The next step is to open the settings menu. Press down on the d-pad until you reach the gear icon. Press the A button to select the gear icon. With all settings highlighted, press the A button again to open the settings menu. The next step is to access the console information screen. Press down on the d-pad until you reach System. Press the A button to open the ​System submenu. With console info highlighted, press the A button again. Press down on the d-pad to select reset console. Press the A button to select this option and move to the final step. Press left on the d-pad to select the reset option that you want. If you want to leave game and app data in place, then highlight Reset and keep my games & apps. Then press the A button. This is the less thorough of the two options, as it only resets the Xbox One firmware and settings without touching your games and apps. Try this first, as it allows you to avoid downloading everything all over again. To reset the system to factory defaults, and remove all data, highlight reset and remove everything. Then press the A button. Select this option if you're selling the console. There is no confirmation screen or prompt. When you press the A button with a reset option highlighted, the system will be reset immediately. This method automatically resets the Xbox and deletes all data. There is no option to retain anything. Download this file from Microsoft. Copy the file named $SystemUpdate from the zip file onto the flash drive. Disconnect the Ethernet cable if it is connected. Turn the Xbox One off and unplug it. Leave the system powered down for at least 30 seconds. Plug the system back into power. Plug your USB flash drive into a USB port on the Xbox One. Press and hold the Bind button and the Eject button, then press the Power Button. Bind is located on the left side of the console for the original Xbox One and below the power button on the Xbox One S. The Eject button is next to the disc drive on the front of the console. Hold the Bind and Eject buttons for between 10 and 15 seconds, or until you hear the system power-up sound twice in a row. The process has failed if you do not hear the power-up sound or if you hear the power-down sound. Release the Bind and Eject buttons after you hear the second power-up sound. Wait for the console to restart. Remove the USB drive. The console should undergo a hard reset, which can take several minutes to complete. When that finishes, it should be restored to factory settings.